This Saturday is going to be a beautiful morning for a run or walk through the grounds of the National Christian Conference Center and the neighboring Freedoms Foundation! If you’ve already registered, thank you! We’re looking forward to seeing you. Here is a Google Map if you need directions. If you haven’t registered yet, it’s not too late! Register online at http://getwellgabby.org/run Advance registration is $38.50 through Friday night. Walk-up registrations are $40. Run or walk through this beautiful yet challenging trail on the scenic campus of the National Christian Conference Center. Throughout this course, there are unpaved trails and paved portions which offer a greater challenge to both runners and walkers. Refreshments will be available to all. We have a warm up session prior to the start along with a DJ to get you motivated and ready to walk or run! Do you want to know more? See the event flier on our website or the Facebook event. The founders of Piggy Paint have offered our Get Well Gaby supporters a generous 15% discount on their orders and are donating 25% of the proceeds of each sale to support our mission. They just sent us our first check for almost $7,000.00! 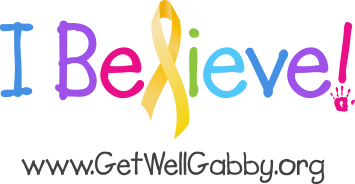 This entry was posted in Emails, Event News and tagged 5K, Get Well Gabby, National Christian Conference Center, Run, Valley Forge, Walk by Carolynn. Bookmark the permalink.